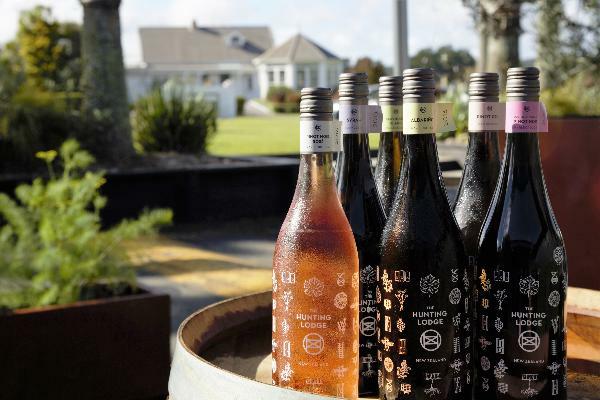 Head out to our Cellar Door, just a 35min drive from Auckland CBD. Open 7 days from 10am - 5pm, you'll find an intimate space softly lit with stunning pendant lights and dark timber floors that creates a perfect setting to learn about the magic that happens behind the wines. While we have new vintage releases on the horizon, currently there are eight wines in the range that can be taken away for sipping at home, with most available for tasting. Otherwise, head through to our relaxed Cafe or the iconic Hunting Lodge Restaurant (opening mid November) to have them by the glass or bottle. Pizza and Wine Summer Nights Known as our Summer Wine Down sessions, we extend our Friday and Saturday Cellar Door & Cafe hours over summer to get the weekend going: - Wood fired pizzas coming from our very own custom-made pizza oven - Fresh new options on pizzas - they're bigger and more gourmet than ever before - Cafe food will continue to be served - Live music from 5pm every Saturday night There's every reason to head to The Hunting Lodge winery from 4pm-8pm every Friday and Saturday. See you there!